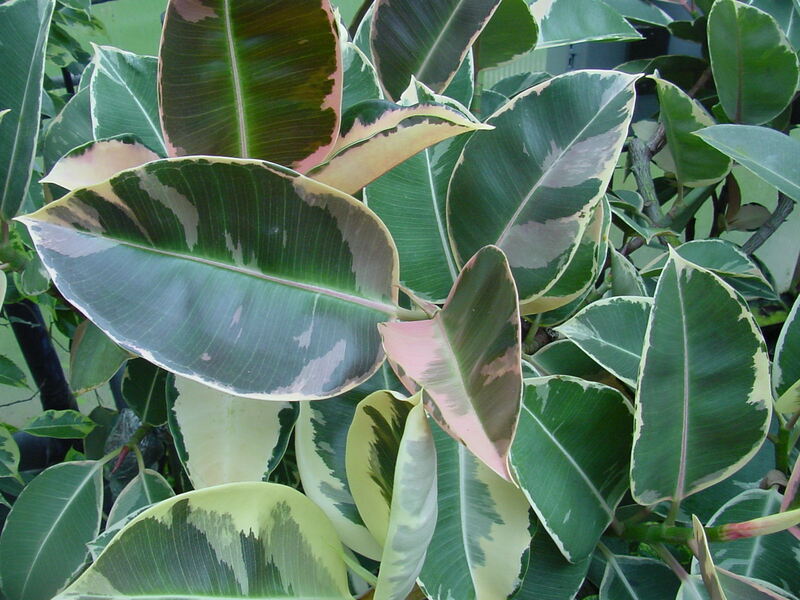 In order to propagate Ficus elastica by cuttings, take 4-6 inch lateral shoots from April to June. Insert into equal parts (by volume) moss peat and sand. Failing that, use a good quality compost such as John Innes 'Seed and Cutting'. Water in gently, then place into heated propagator - or similar warm environment, at a temperature of 21-24 degrees Celsius. 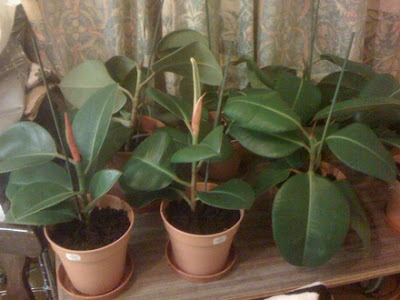 When rooted, remove from the propagator and pot the cuttings singly into 3 inch pots using a standard potting compost. Keep in a bright, warm environment and water and pot on as necessary. 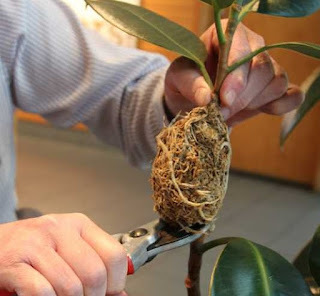 The air layering method requires the propagator to cut a slit in the plant's stem using a sharp sterilized blade. The wound, which oozes with the plant's latex, is packed with rooting hormone and then wrapped tightly with moist sphagnum moss. Dampen the moss with water using a spray bottle then wrap the structure in plastic securing it to the stem at both ends. At this point there is little left to do other than allow nature to takes its course for a few months. The new roots will develop from the plant's auxiliary buds. Once the root system has established the plastic can be removed. The stem is severed below the original slit, again using a sharp, sterilized blade, and the new plant is potted on its own.